News media are bombarding us at with apocalyptic pictures about the impact of Brexit. 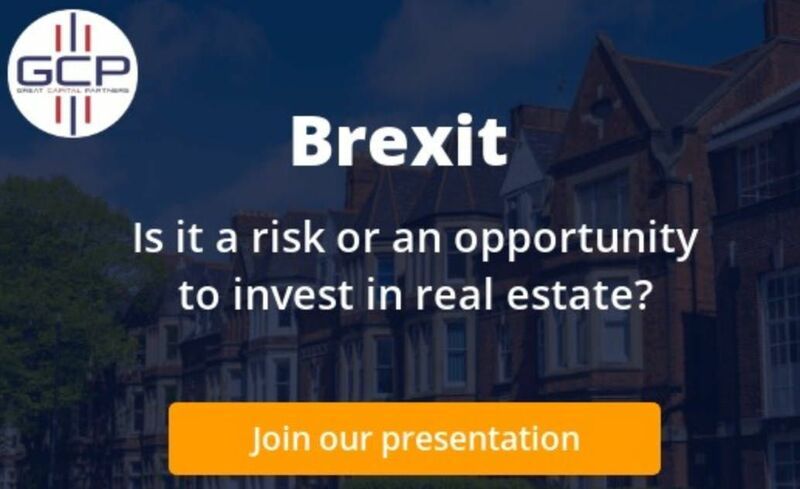 In the event of a NO-deal The Bank of England warned that property values could fall 25- 35% – worse than the global financial crisis. But we as Great Capital Partners know that demand for property has often more to do with ‘sentiment’ rather than solid financial factors. Join our presentation on the 7th of March 2019 from 4 PM to 5 PM and from 7.30 PM to 8.30 PM in our Amsterdam office Apollolaan 153. Before and after the presentation there is time to network with the owners and our guests.